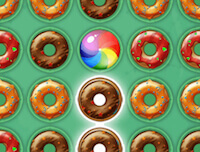 Bubble Ocean is the new html5 game for you on Friv. Bubble Ocean is the best selection of online games. Just click and start playing Bubble Ocean. In which you can play at random match with your full focus on minds. Its is an amazing game with great graphics. You can also build your own levels in this game with the stage builder. Its has more platform to be fun with many features and levels.